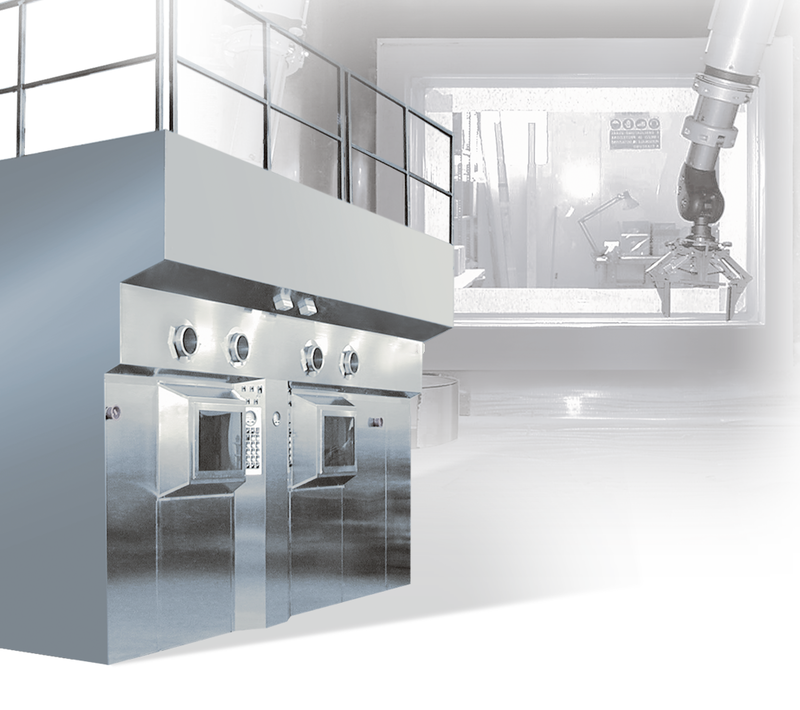 All operations inside the double hot cell for radiopharmaceutical chemistry are carried out using master-slave manipulators: the large windows on the front side, made of glass with equivalent lead shielding, ensure a perfect visibility to the operator. The equipment consists of a carbon steel frame, covered with AISI 304 stainless steel, Scotch-Brite finished. The shielded chamber is made of AISI316L stainless steel, Mirror-Brite finished. Comecer air-tight closing system, based on the use silicon inflatable gaskets aroud the sliding doors, ensures a perfect tightness, according to GMP requirements.